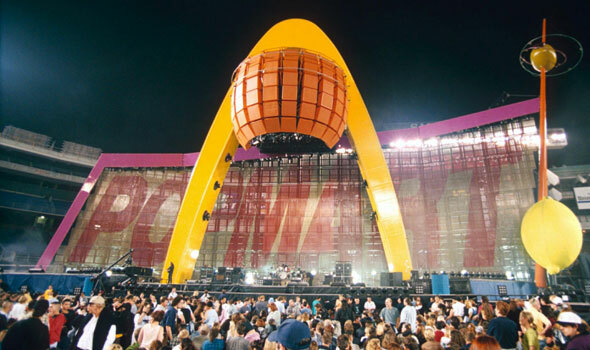 Reason #3 – You know more U2 songs than you know – Most will claim to know nothing about U2, because it’s ‘old music’, but if their greatest hits were being played, a lot of young people would recognise the tunes. With Or Without You, One, Beautiful Day, I Still Haven’t Found What I’m Looking For, Vertigo, Where The Streets Have No Names, Sweetest Thing, and City of Blinding Lights. 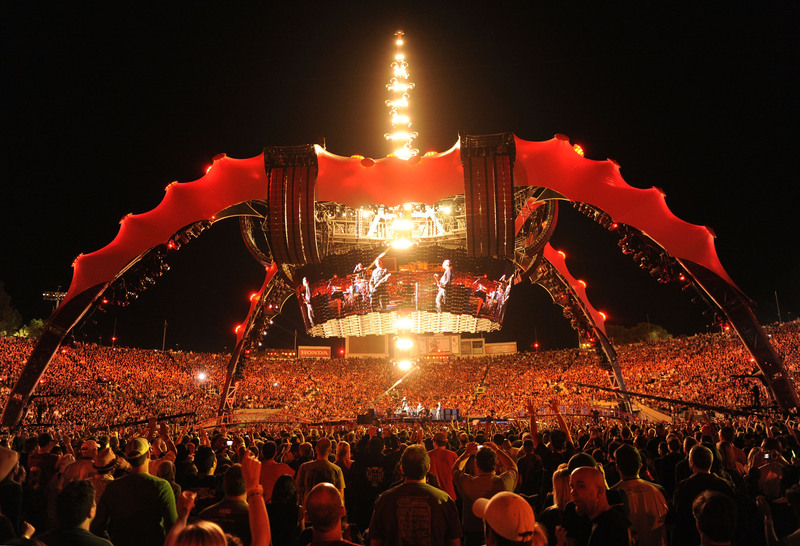 There is eight songs, so many you will all know (and maybe even enjoy), but you will all claim to dislike the band. Reason #4 – FREE MUSIC – I can’t stress this enough, but let’s remember you were given something free. There was no charge at all. They thought it would be a good idea to give everyone some free music, since you know, music is expensive, and piracy is at a all time high. If Beyonce had done the exact same thing a year earlier, no body of of been complaining. In fact everyone would of been loving it, and calling it a genius move. 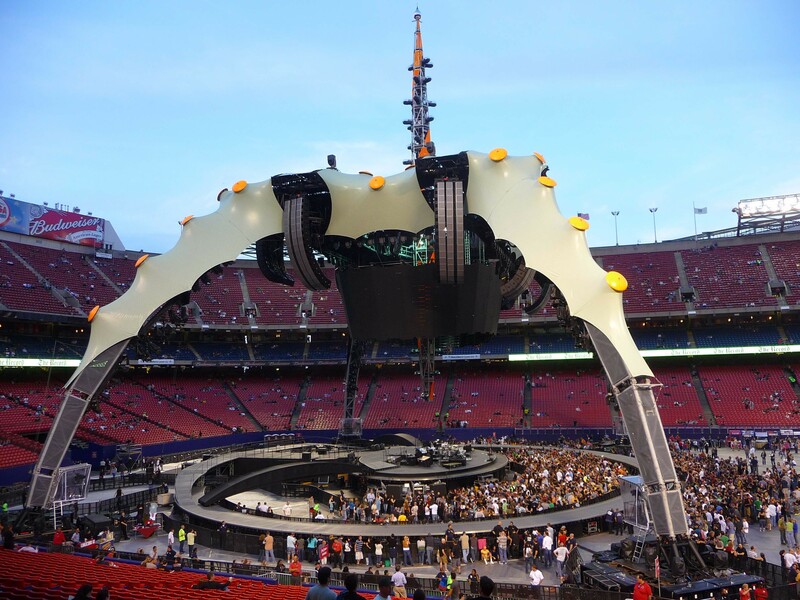 Reason #5 – Amazing set designs – These days Katy Perry, Lady Gaga, and Miley Cyrus are the kinds of artists to be praised for stunning set designs at concerts, but no rock band does it better than U2. 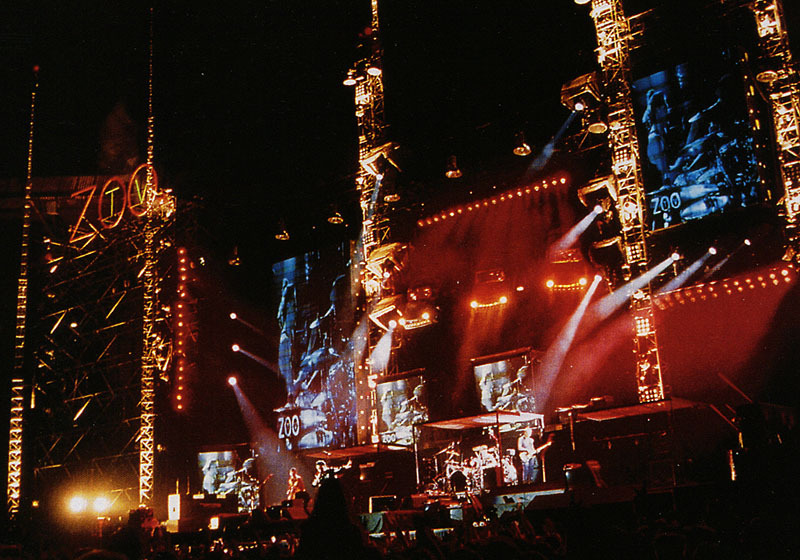 There artistic visions were on display way back in 1992 for the ZOOTV Tour, and have continued all the way through to the 360 Tour, which became the highest grossing concert tour of all time. Those set designs are amazing ! Yes! 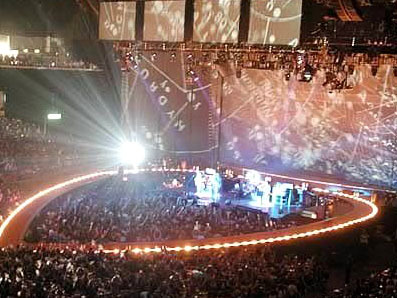 It was amazing that the 360 tour was the first concert I went to. I thought all sets would be as cool as that.